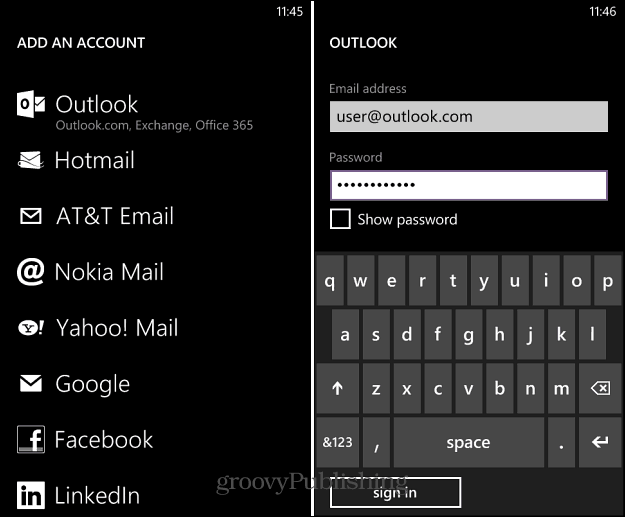 Windows Phone 8 has an easy way to get started setting up email and social accounts. Here’s how to set them up and use the Me tile to consolidate them all. 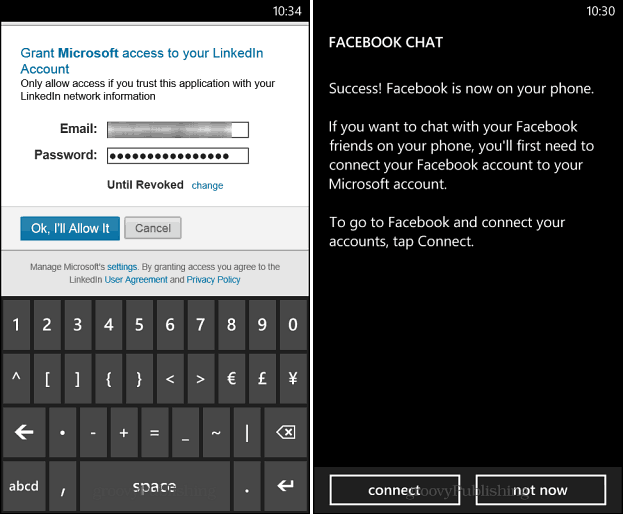 Windows Phone 8 provides an easy method to get started setting up your email and social accounts. After securing your phone’s Lock Screen, one of the next most important steps is setting up those accounts so you can keep in touch with your company, family, and friends. 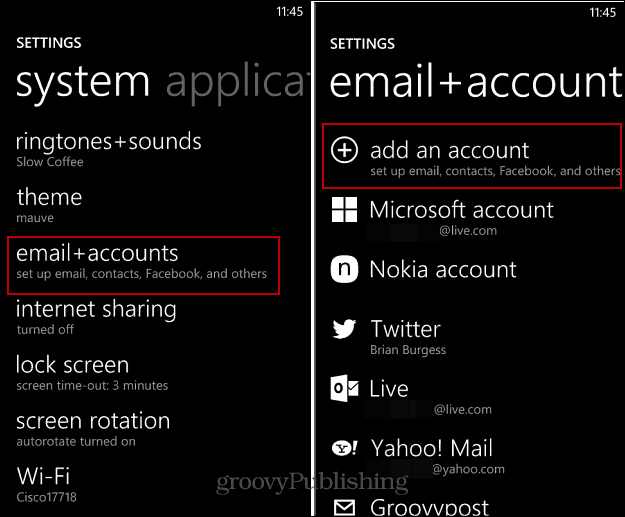 After setting up your accounts, Windows Phone offers a unique one-stop section to check the accounts via the Me tile. Here’s a look at getting everything set up. The process of adding a new email account is simple. On your phone go to Settings > System > Email+Accounts. Then in the Add an Account screen select the email service you’re setting up. Here I’m using Outlook.com, but the process is virtually the same setting up the others. You’ll need to enter in the email address and sign in with your account password. After you account is se up and verified, you can go in to its settings and manage how often it checks for email, set up a custom signature, and the type of content you want to sync to the phone. Setting up a social account like LinkedIn or Facebook is essentially the same. Just select the account you want to add from the “Add an Account” screen and enter in the email and password you use to sign in. You’ll also need to allow your Microsoft account to connect with the social service. 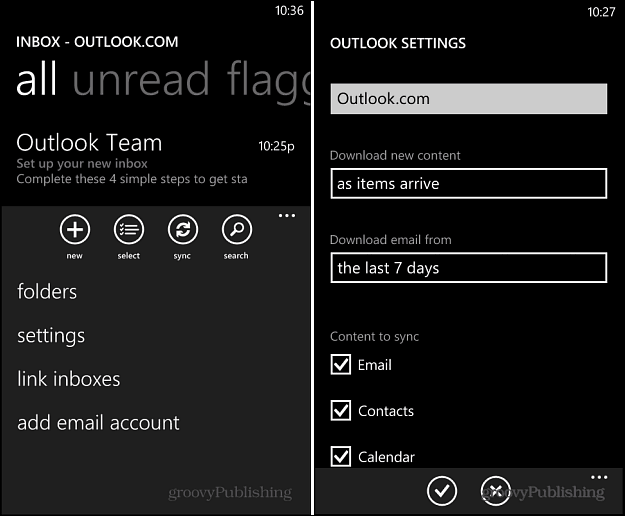 After you have your email and social networks set up, on of the neat things Windows Phone offers is the Me tile. 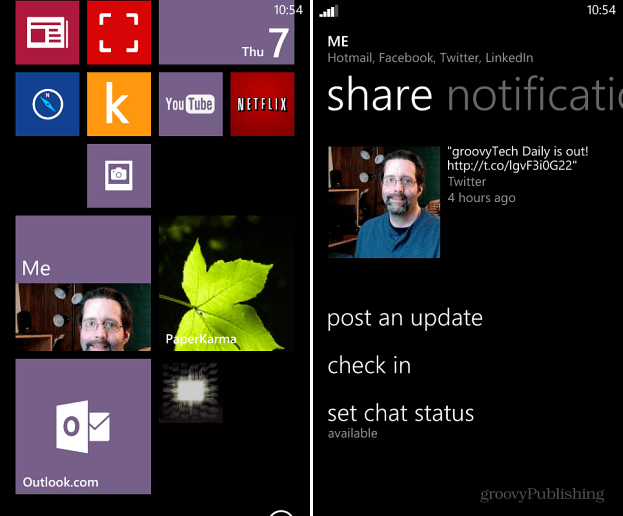 The Me tile is part of the default set of tiles on Windows Phone 8. It allows you to check and post updates on Facebook and other social networks you’ve set up. 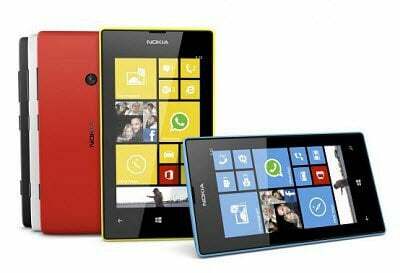 For more how to advice on Windows Phone, check out these 12 tips for getting started with Windows phone 8.